''GREAT Energy Efficient Custom Home'' Located on 1.35 Acres. 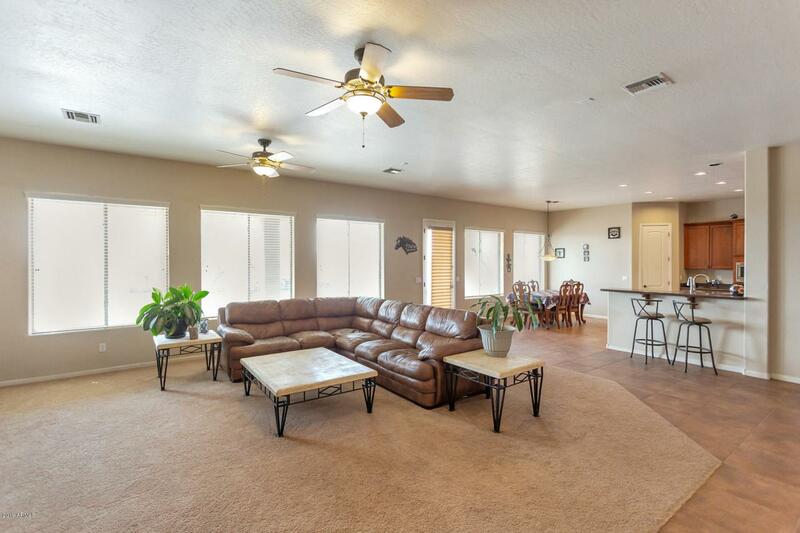 BRING YOUR TOYS or Horses to this Luxurious 3 Bed, 2 Bath + Den home. 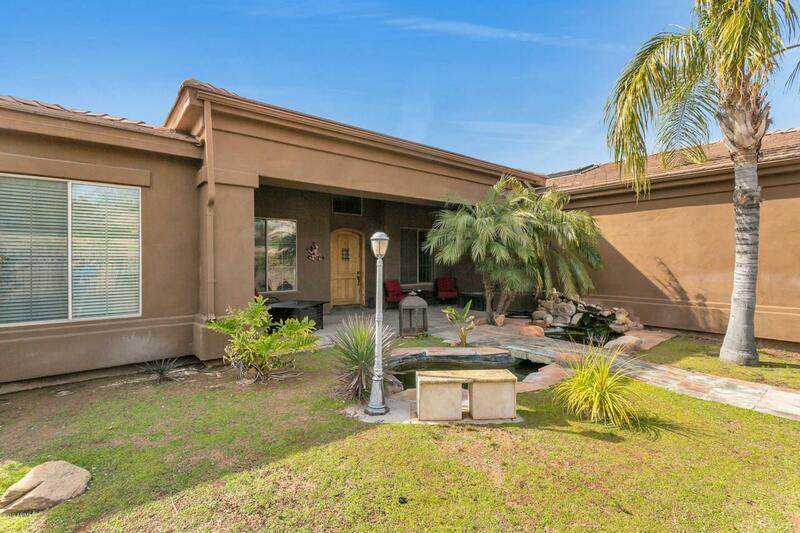 FEATURING an over-sized 4 car garage and a 40'x40' detached garage with its own bathroom. 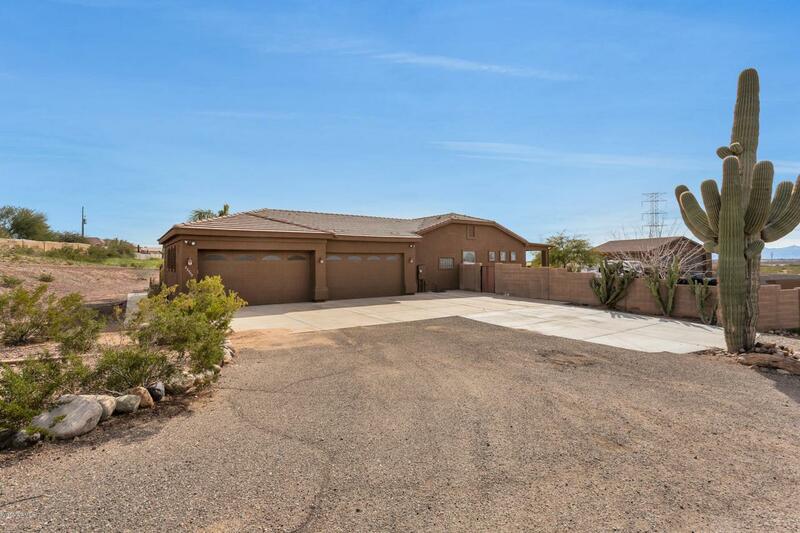 The house features nutmeg cherry cabinets, stainless steel appliances, Kitchen Island w/sink, mahogany granite counters w/full bull nose edge. Master bedroom has French doors to large rear patio. The Master bath has tile counter tops, dual shower heads, jetted tub, an a large walk-in closet. 18'' porcelain tile T/O. 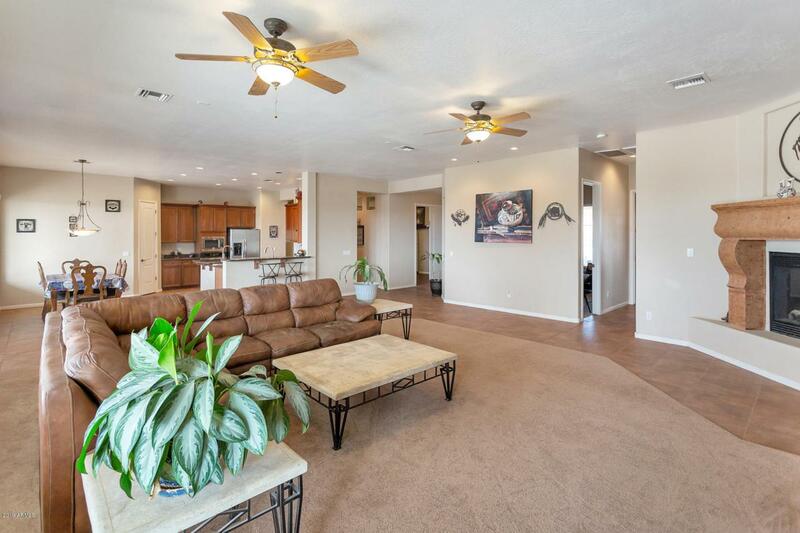 Other upgrades include pre-wired for stereo surround sound and pre-wired for security system, ceiling fans in all rooms, blinds T/O, a propane fireplace, 1 new AC unit, much more. BONUS: A riding lawn mower!